Here in southern Maine we had an unusually snowy November. Many of us didn’t have time to rake leaves before the snow came. Here is a timely short poem by William Carlos Williams. Warm holiday wishes to all. 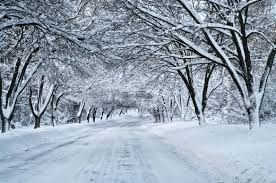 Posted in Uncategorized and tagged December, early snow, leaf raking, Maine, snow, William Carlos Williams, winter, winter poem. Bookmark the permalink. It’s July, and that means a proliferation of bugs – including the deer ticks we dread in Maine for their ability to carry Lyme disease. The mosquitoes in Maine are pretty legendary, too. I dislike bugs, except perhaps fireflies and butterflies. They are the price we pay for our short, glorious summer. Here is a poem by William Oldys (1687-1761) – not very sanitary, but an interesting meditation on the fleeting nature of existence. Oldys lived to be 74, which in the 1700s was a long life. Posted in Uncategorized and tagged bugs, insects, Maine, On A Fly Drinking Out Of His Cup, poem, poetry about bugs, summer, William Oldys. Bookmark the permalink. It’s still in the 30s here and we had snow showers last night. I do see tiny buds on my forsythia, and a few brave crocuses have appeared. April is National Poetry Month; readings and celebrations are in bloom. Here is a spring poem by Philip Larkin. 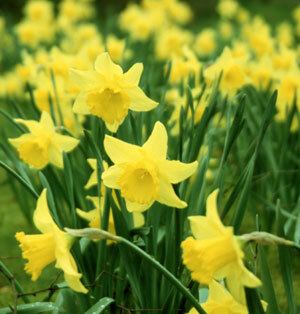 Posted in Uncategorized and tagged April, forsythia, Maine, National Poetry Month, Philip Larkin, spring. Bookmark the permalink. The calendar tells us it’s spring, but in Maine we still have a lot of snow lying around. Some snowdrops and crocus have made a brave appearance. As the earth awakens, here is a poem that is not about spring. Spring poems will follow in the coming weeks. lap at your sides. Give darkness an inch. one body. You aren’t alone. Go to sleep. ASTRONOMY SAYS: the sun will rise tomorrow. ZOOLOGY SAYS: on rainbow-fish and lithe gazelle. HISTORY SAYS: here are the blankets, layer on layer, down and down. Posted in Uncategorized and tagged Albert Goldbarth, crocus, lullaby, Maine, New England, poem, poetry, sciences, sleep, snowdrops, spring. Bookmark the permalink. April is always full of poetry events. This year is no exception. I try to list all the ones involving Moon Pie Press poets on the website at http://www.moonpiepress.com. Here is a lovely poem about what sustains some of us through a long winter. It is by former Portland Poet Laureate Bruce Spang, whose latest book from Moon Pie Press is BOY AT THE SCREEN DOOR. after another like the Queen in Wonderland. with long slender purple petals, fold it. Joe Pye Weed that releases a vanilla scent. Smell it. Write it. Fill in the order form. Posted in Uncategorized and tagged Boy At the Screen Door, Bruce Spang, Maine, National Poetry Month, New England, poetry, seed catalogs, spring. Bookmark the permalink. Everyone is tired and crabby after the past month or so of snow, bitter cold and more snow. Boston is a big mess that is making national news. Here in southern Maine we are not paralyzed to that extent, but driving is treacherous and we’re running out of places to put snow. Tonight into Sunday another 12-15″ is predicted, with 50mph+ winds. I went to my town library yesterday and stocked up for the long weekend with books and a movie. 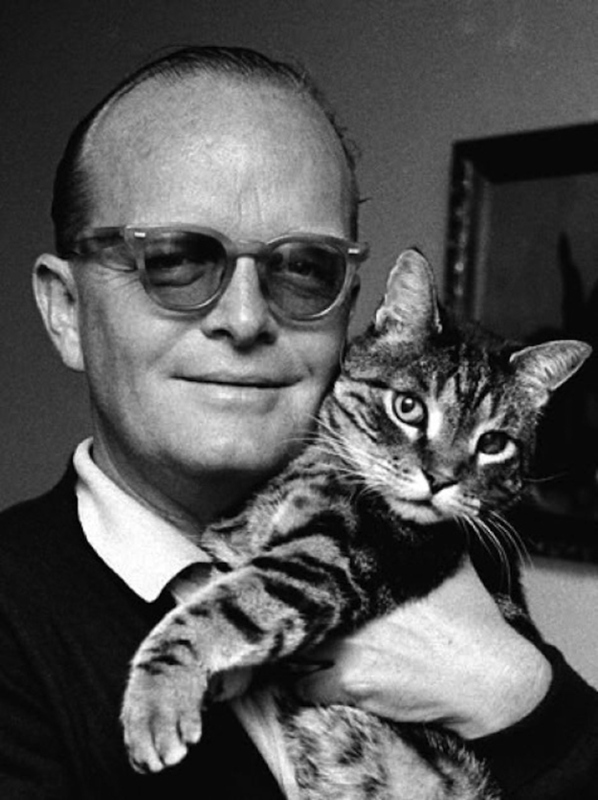 Here is a photo of my late cousin Truman Capote with a cat – I have a collection of photos of writers with their pets and will keep throwing them in randomly. Capote has been on my mind since the hoopla over the pending release of his friend Harper Lee’s sequel to TO KILL A MOCKINGBIRD. I can’t help but wonder what Capote would think of all this, or of the book itself. His original last name was Persons; my father’s cousin Archie was his father. Truman’s mother later married Mr. Capote and changed the boy’s name. I never met him, but am a long time admirer of his writing. Posted in Uncategorized and tagged Boston, cold, Harper Lee, Maine, New England, sequel, snow, Thomas Campion, To Kill a Mockingbird, Truman Capote, winter. Bookmark the permalink.